It appears that Alan Rickman, one of the gems of the Harry Potter franchise, wasn’t especially pleased with his place in the films, a fact only revealed now that his letters are up for auction. 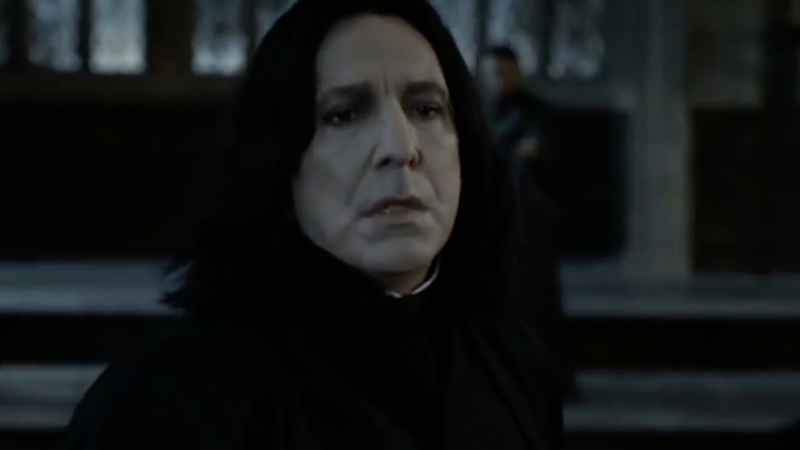 Rickman, who died of pancreatic cancer at the beginning of 2016, left behind a collection of letters that hint at the beloved actor’s irritation with the portrayal of his character, Professor Severus Snape. Rickman was brilliant, so I’m curious about which aspects of the film he took issue. The answer to that was seemingly laid out in another note he wrote while filming The Half-Blood Prince, entitled “Inside Snapes Head.” In it, he criticized David Yates, writing that it’s as if the director “decided that this is not important in the scheme of things i.e. teen audience appeal.” It’s not immediately clear what “this” refers to, so unless one of us ponies up for these letters, maybe we’ll never know.